Hollis JohnsonJollibee is ready to take over America. Jollibee, a Filipino fast-food behemoth, is opening its first location in Manhattan on October 27. The chain, known for its spaghetti and fried chicken, has an “aggressive” expansion plan for the US, an executive told Business Insider. Jolibee’s parent company recently acquired stakes in burger chain Smashburger and fast-casual Mexican chain Tortas Frontera as part of its aspirations to become one of the five biggest restaurant companies in the world. Filipino fast-food behemoth Jollibee is setting its sights on taking over the United States – and the world. On October 27, Jollibee will open its first location in Manhattan, the fast-food chain’s 38th store in the US. New Yorkers have been anxiously awaiting Jollibee’s arrival in Manhattan since 2016, when news broke that the chain planned to open in midtown Manhattan, near the Port Authority bus terminal. “Jollibee has always been a taste of home for many Filipinos,” Maribeth Dela Cruz, Jollibee Food Corporation North America’s vice president, told Business Insider. 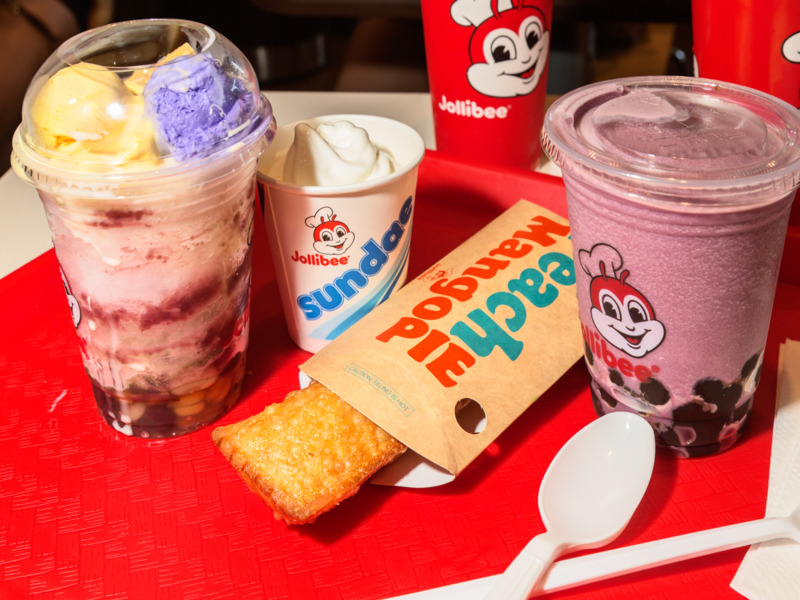 Hollis JohnsonJollibee’s desserts are unlike any American fast-food chains’ offerings. New York City is home to 61% of New York state’s Filipino population, making Manhattan a prime spot to open a Jollibee location. At the same time, Cruz says, the Manhattan location will serve as an opportunity to showcase Jollibee as a brand, introducing the chain to New Yorkers and tourists alike. About 85% of customers in the Jollibee location in Queens, New York are Filipino, according to Cruz. Other Jollibee locations, in states such including California, Nevada, and Texas, have a ratio of closer to 70% Filipino to 30% non-Filipino customers. Internationally, Jollibee is already a huge phenomenon, sometimes referred to as the “McDonald’s of the Philippines,” with 1,289 locations globally. 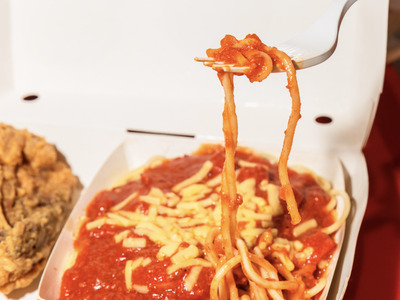 Known for its fried chicken, spaghetti, and Filipino desserts, the chain has a menu unlike any American fast-food chain. Cruz declined to say exactly how many locations Jollibee planned to open in the US, though she said the company has an “aggressive” expansion strategy for the coming years. Jollibee Foods Corporation (JFC) has also been making some major investments outside of its namesake brand. JFC is determined to become one of the top five biggest restaurant companies in the world. The company has more than 4,200 locations in 22 countries, including chains such as Greenwich Pizza, Chinese food brand Chowking, and serving as the franchisee for Burger King in the Philippines. In February, JFC announced it planned to increase its stake in the American chain Smashburger, growing its share of the company to 85%. JFC announced in September that it was planning a $US12.4 million investment in chef Rick Bayless’ Tortas Frontera chain, taking a 47% stake in the brand.